As we continue our swing through the Pacific Division, we get to the two teams at the top of the heap. After discussing the good and the bad with the Flames, Oilers, Canucks, Coyotes and Sharks, it’s time to look at last year’s division champions in Anaheim. 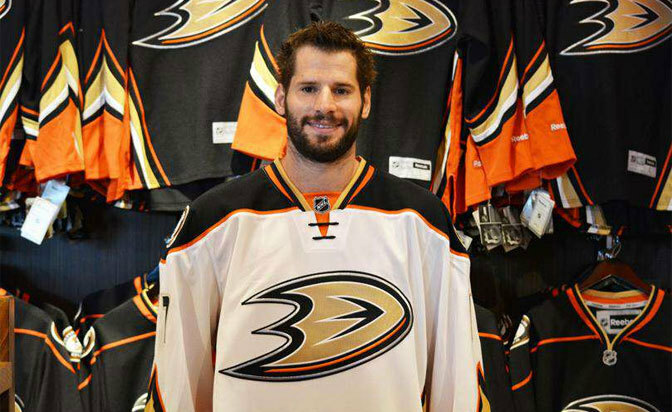 The biggest news in Anaheim this summer was the acquisition of Kesler, who should provide the Ducks with one of the best 1-2 punches at the center position in the league. To get him, however, the Ducks traded away a quietly effective player in Bonino, who finished last season second on the team in power play points (20) and third in goals scored (22). While adding Kesler was the big splash, the Ducks lost a great deal of their depth – especially on the power play (where they ranked 22nd last season at 16.0 percent). Three of their top six power play forwards from last year are gone (Bonino, Selanne, Perreault). One young player who will be asked to step into the void left by the departed veterans will be Devante Smith-Pelly. The 22-year-old forward dominated the AHL in Norfolk, and stepped into the NHL lineup effectively with two goals and eight assists in 19 regular season games before scoring five goals in 12 playoff games. There will be a lot of eyes on the crease in Anaheim this year. With Jonas Hiller gone, it appears the time has come for youngster John Gibson to take the net. The 21-year-old will compete with Frederik Andersen (who will turn 25 on Oct. 2) for the opening night start. 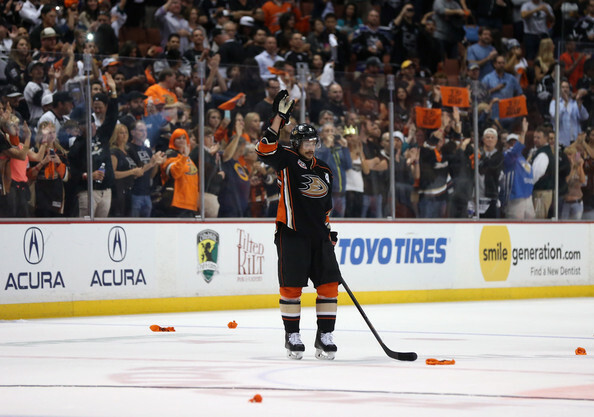 The addition of Kesler is a huge statement by the Ducks, but their depth is a concern; Koivu, Selanne, Bonino and Perreault combined to score 60 goals last year. This is still a very good team – possibly a division winner. But will they have enough depth to go deep into the playoffs? Best roster in the NHL. They have lost some of their experience but have exchanged it with youth and talent. If Gibson plays the way everyone expects, and the rookies step in this team can win the cup. Anaheim not LA is the team im picking to win the cup. Hell of a 1-2 punch. No excuses this season for Kesler. Put up this season or never again should he be mentioned as a top center. Out of curiosity, OTT’s G Craig Anderson, former Hawk, just signed a 3 year extension with the team for a total of $12,6 million…Anderson’s #’s are off the charts good and he plays for an average cap hit of $4 million. The element here that is always so worried about signing goalies long term need look no further than this…there are always good NHL goalies available at an affordable price…I like Crawford, his warrior mentality these past playoffs will put him over the top next season, I believe, but he wasn’t worth signing for that many years at $6 million a season…plain and simple! Re Goalies… What Brad said!!! Ducks are right there w/ Kings/Hawks… a little slower than last year… but bigger/tougher… really thought Stoner was tough vs. Hawks/Playoffs. re: goalies – I love when people get a hard-on for guys who show up to the party late. 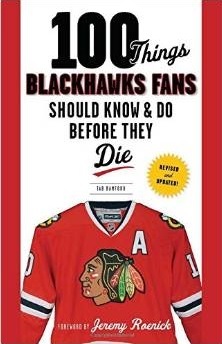 Corey Crawford will turn 30 on New Year’s Eve this year and has been the man on a good Chicago team for basically 3.5 years. He’s started over 200 regular season games the last 4 years. If you want to go back to taking expensive leaps of faith on guys like Huet in free agency, or praying to catch lightning in a bottle as the Sens did when the took an underwhelming Anderson off the hands of the Avs in 2011, so be it. To retain a good netminder in his prime, it’s going to cost you.